There are many acorn trees on my daily walk and come Autumn the ground is littered with the little acorn husks as the squirrels have eaten all the nuts. I still love to gather the husks and use them for making felt acorns. Which I use for decorations and gift toppers. Acorns are a perfect for fall decorations they look so sweet and instantly make you think of Autumn. 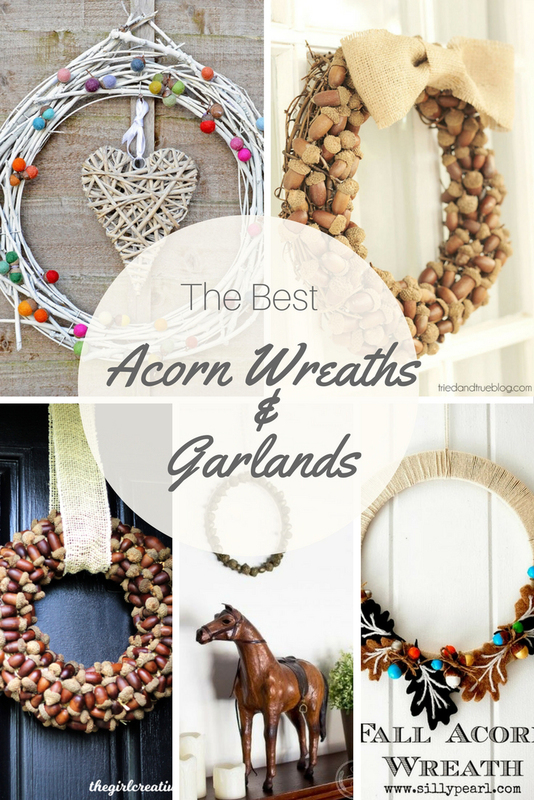 Here I’ve rounded up some of my favourite acorn wreaths and garlands. 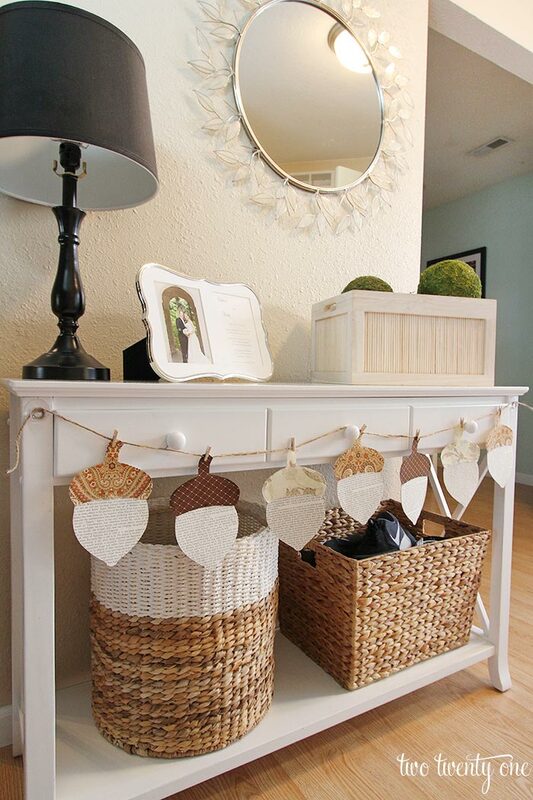 Hopefully, you will find something to inspire you for your fall crafting. Just make sure you gather the acorns before the squirrels nab them all. 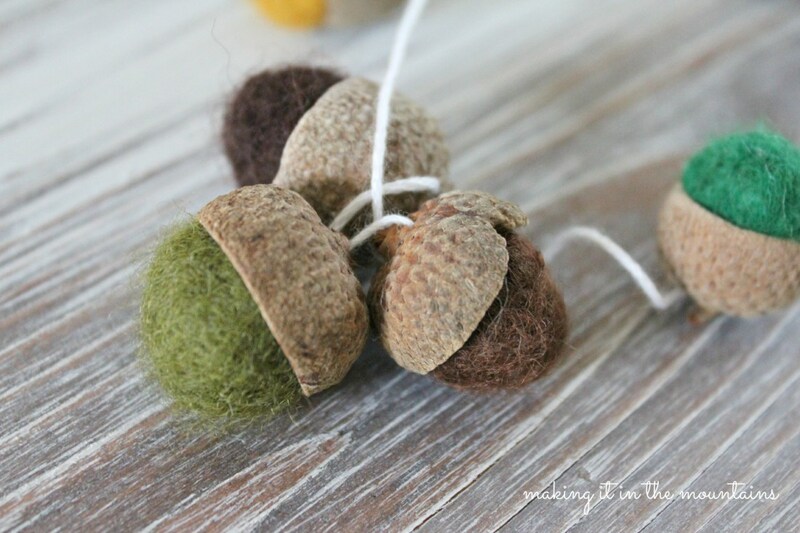 These tiny felted acorns are really sweet and the colours are lovely. More gorgeous felted acorns but this time in a wreath. 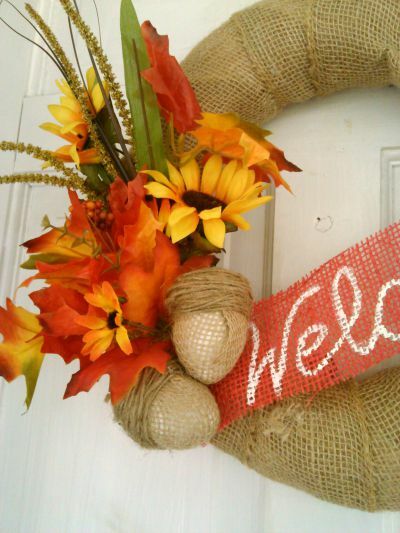 This lovely wreath is made with natural whole acorns and some burlap. 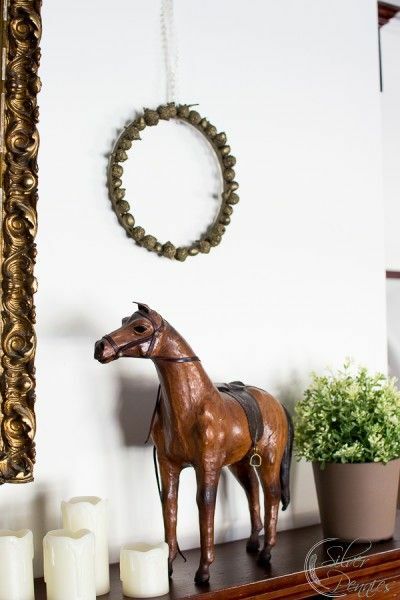 For those of you who love a more rustic style for their fall decor. 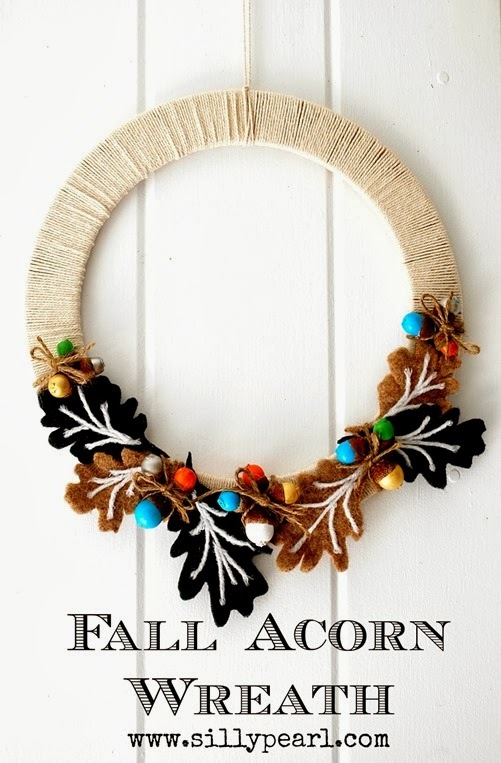 I love the felt acorn leaves on this wreath. These acorns are acutally made out of book pages and scrap fabric, but they were so lovley I had to include them. 7. 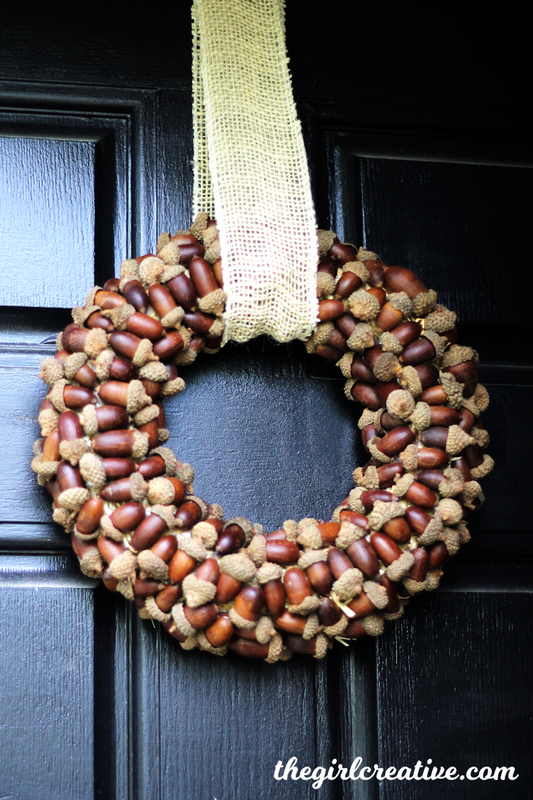 DIY Acorn Wreath – The Girl Creative. 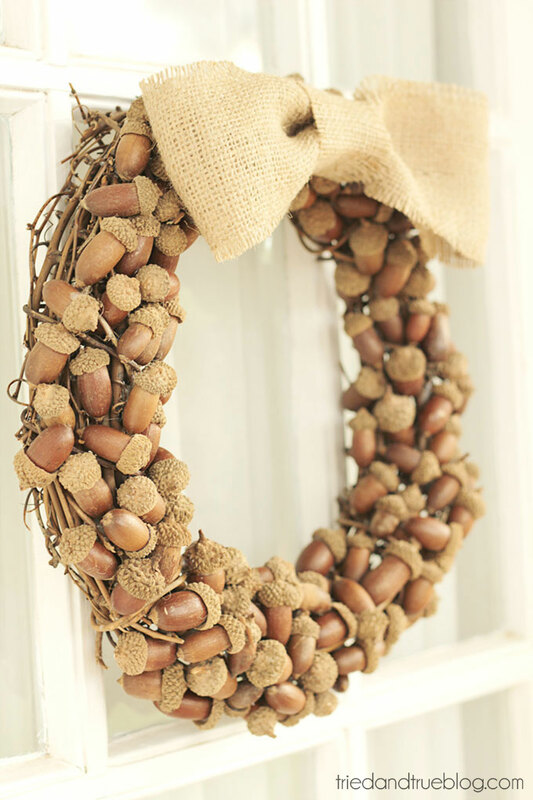 Another simple beautiful wreath made from real acorns. 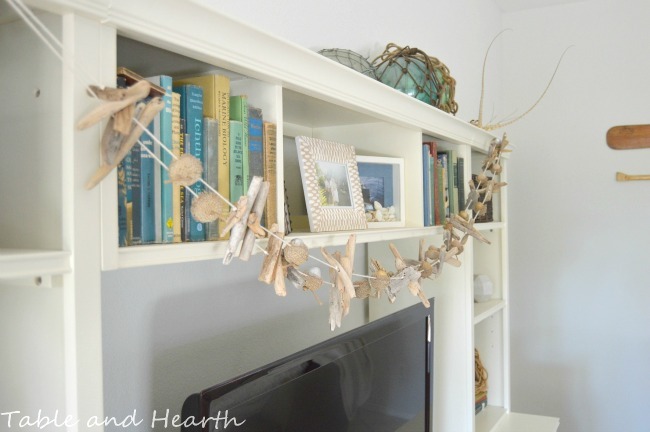 Fall decor on a budget with these DIY burlap acorns. 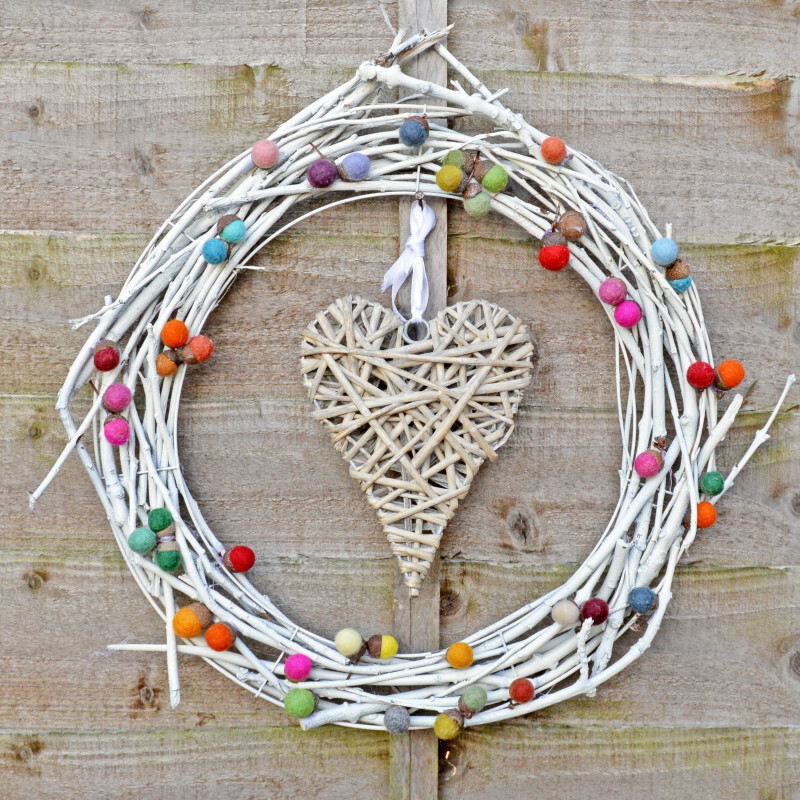 This sweet simple acorn wreath is made with an embroidery hoop and metalic paint.